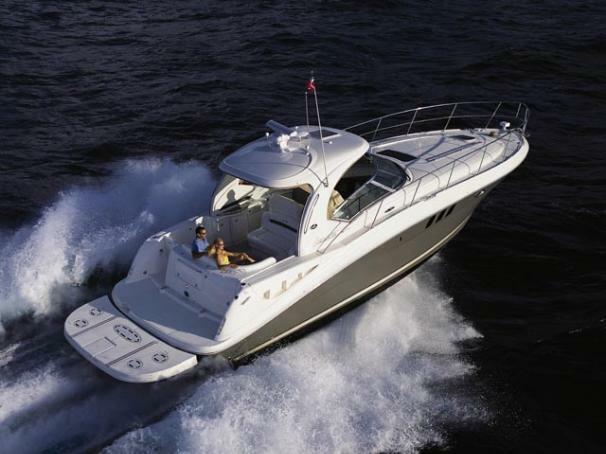 Boat Description With its sweeping deck lines and dramatic profile, this elegant Sea Ray 40 Sundancer is sure to get noticed. This member of the Sundancer family features a sleek, wood-trimmed helm with custom-designed instruments, plus an optional fiberglass hardtop. Engineered to outpace every other boat in its class, the 40 Sundancer offers a spectacular combination of style, power and grace.